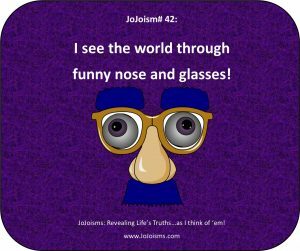 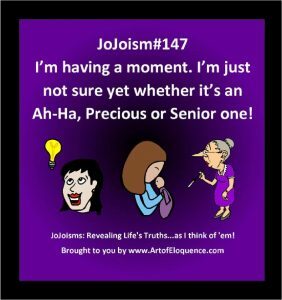 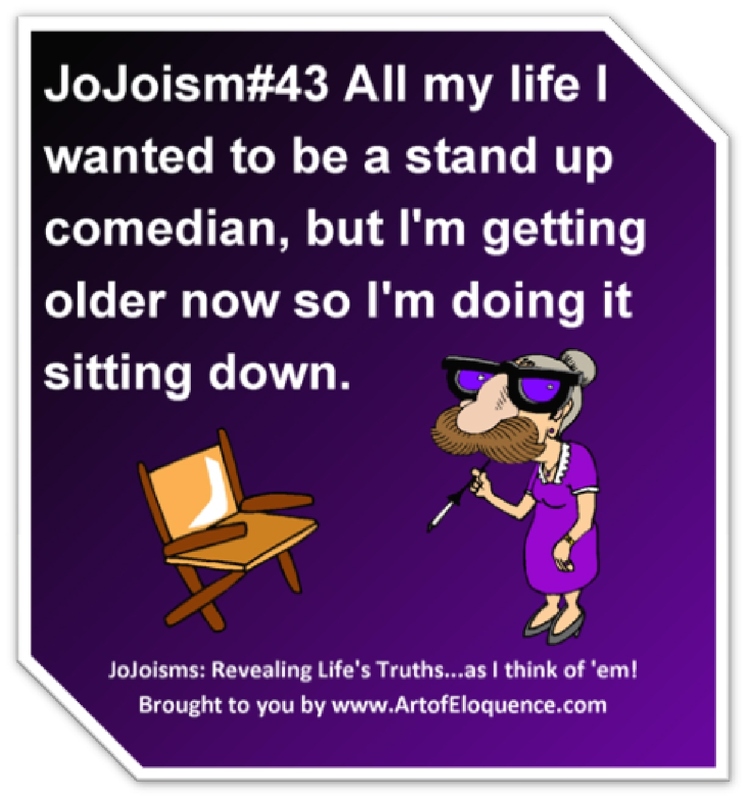 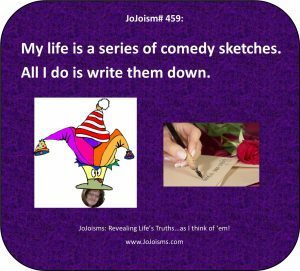 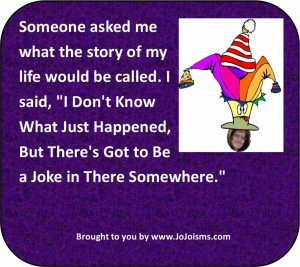 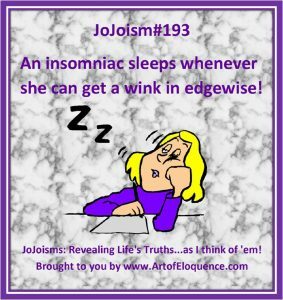 JoJoism#468 “Don’t mess with me; I’ve got a masters degree in Funny and a black belt in Weird!” JoJoisms: Revealing Life’s Truths…as I think of ’em! 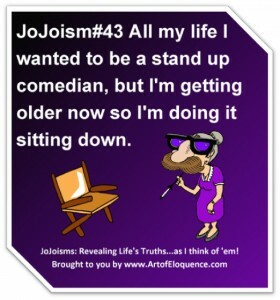 I’m also *Bored* Certified and have an Outstanding Acheivement Award from the League of Extraordinary Insanity. 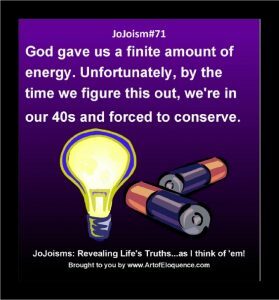 And if that weren’t enough, I am wanted in 57 states!